Are your digital assets lost in a sea of folders? 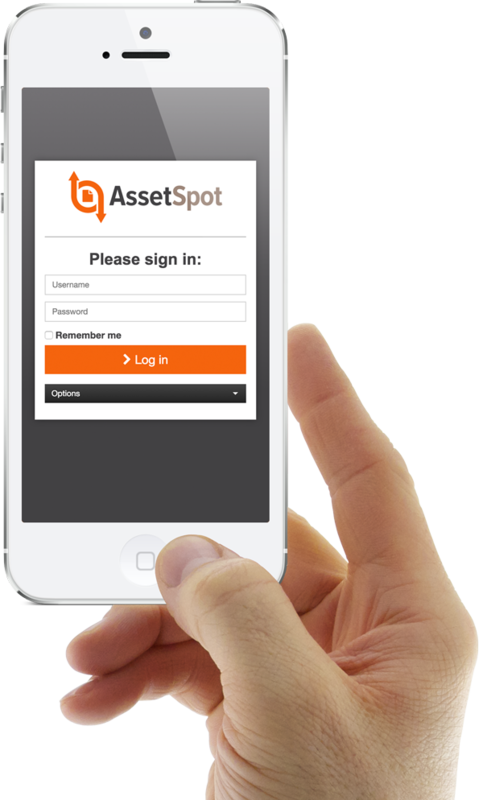 Search, find and securely share files with anyone, on any device, with AssetSpot. AssetSpot is the DAM (Digital Asset Management) solution you can truly make your own. With smart search, customisable features and home page layouts, you can easily store, find and share all your assets. A clean, responsive design makes it easy to use AssetSpot on any device, whether it’s your tablet, smartphone, laptop or desktop PC. Make AssetSpot your own with a customised interface including your logo and corporate colours. 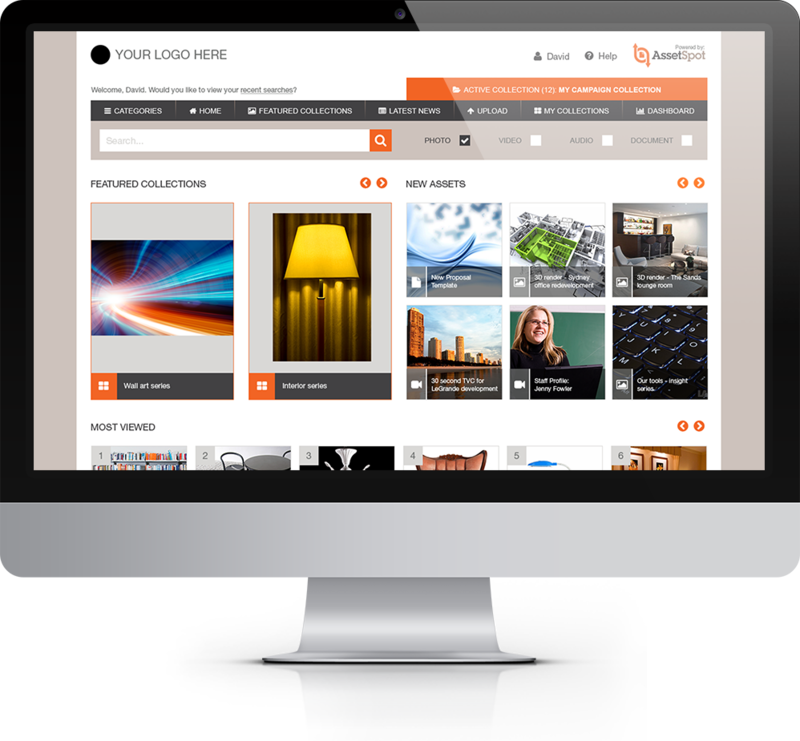 Use dynamic home page layouts to showcase your most relevant assets and define your own user groups and permissions to control access for clients, business partners and suppliers. With high security, multilingual capability, regional access protocols and multiple user-group permissions levels, AssetSpot is the perfect digital asset management product for organisations with a number of internal and external users. With state-of-the art security, user login controls and permissions, your assets are safe and secure on AssetSpot – while you can still share selected assets with anyone you choose via email. Automatic cloud backup and multiple redundancy factors means there’s no need to worry about losing any of your data. Lenovo, the worlds #1 PC maker, operates in hundreds of markets globally and needed a solution for managing and distributing a vast range of marketing assets. 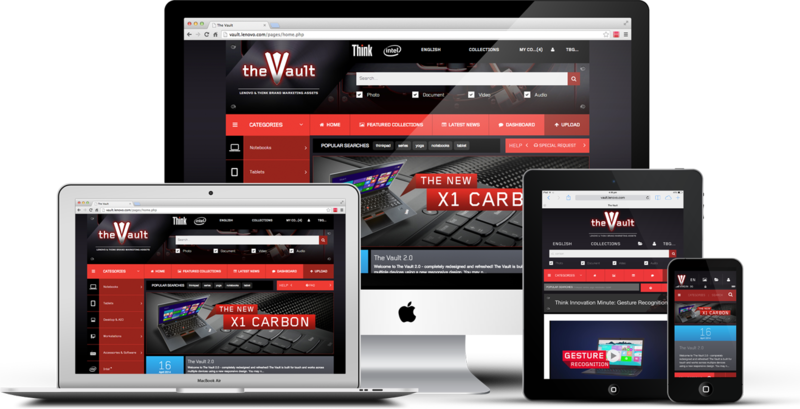 Key to the success of our solution was cross-device compatibility, localisation and multiple levels of access. But wait…what does it cost? Well, it costs nothing for the first 3 months of your subscription if you sign up before launch. Interested to take AssetSpot for a spin? 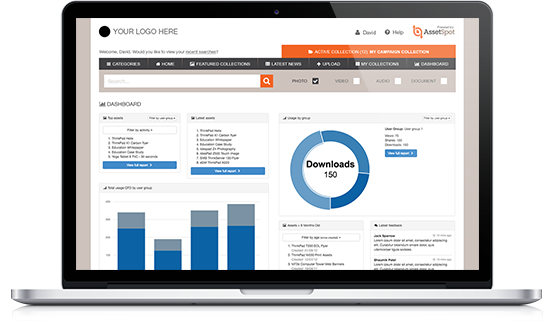 Our demo gives you access to basic features, including uploading, viewing, sharing and even a look at the dashboard. If you like what you see, get in touch afterwards and we can talk you through the more advanced features and customization options. Simply enter your details below to get started. This statement applies to AssetSpot (“AssetSpot”, “we”, “our” or “us”). We are committed to always protecting and maintaining your privacy. This policy outlines how we will collect, store, use and disclose personal information you provide to us. You can also deal with us anonymously where it is lawful and practicable to do so. We request that if you are under 18 years of age, you do not submit any personal information to us without the express consent and participation of a parent or guardian. Note - we may provide links to third party applications, products, services or websites (including social media sites). We do not control those sites or their collection, storage, use and disclosure of personal information. We do not endorse or make any representations about such sites and recommend you review relevant privacy policies before any use. During any contact or engagement you have with us – for example, when viewing our website, processing an order, contacting customer care or applying for a job - you may be asked to provide your personal information. We may combine your personal information with other information to provide and improve our products and other services. When may we collect personal information? Note - credit/debit card information is used only for payment processing and fraud prevention. It will not be kept longer than necessary for providing the services, unless you ask us to retain your credit card information for future purchases. The security of your personal information is given a high priority. We take reasonable steps to securely store your personal information so that it is protected from unauthorised use, access, modification or disclosure. This includes physical, technical and administrative measures. We retain personal information and other data only as required and permitted by relevant laws. When collecting sensitive information (e.g. credit/debit card information) we will use additional security technologies to help protect your personal information from any unauthorised access, use or disclosure. We will help ensure highlight confidential information (e.g. credit/debit card information) is protected through the use of encryption. We ask that you keep any usernames, passwords or other identifying information secret and only share these details with people your authorise to access and manage your accounts held with us. We accept no responsible for information disclosed to parties who know your username or password. If you believe your privacy has been compromised, please contact us via the details listed below. We are committed to the provision of an effective, efficient and responsive privacy complaints handling regime across all of our activities and will ensure transparency and openness in the early resolution of privacy concerns and complaints. When we collect information from you, you may tell us about: your preferred communication delivery method; and your choices about receiving either subscription or general communications; and whether you do not want it to be used for further marketing contact. We sometimes collect non-identifiable information from visits to our Web sites to help us provide better customer service. For example, we keep track of the domains from which people visit, and we also measure visitor activity on AssetSpot Web sites, but we do so in ways that keep the information non-identifiable. This information is sometimes known as "clickstream data." AssetSpot or others on AssetSpot behalf may use this data to analyze trends and statistics and to help us provide better customer service. Also, when we collect personal data from you in a transaction, we may extract some information about that transaction in a non-identifiable format and combine it with other non-identifiable information such as clickstream data. This information is used and analyzed only at an aggregate level to help us understand trends and patterns. This information is not reviewed at an individual level. If you do not want your transaction details used in this manner you can disable your cookies (see below). Some AssetSpot Web sites also use Web beacon or other technologies to better tailor those sites to provide better customer service. These technologies may be in use on a number of pages across AssetSpot Web sites. When a visitor accesses these pages, a non-identifiable notice of that visit is generated which may be processed by us or by our suppliers. These Web beacons usually work in conjunction with cookies. If you don't want your cookie information to be associated with your visits to these pages, you can set your browser to turn off cookies. If you turn off cookies - Web beacon and other technologies will still detect visits to these pages, but the notices they generate cannot be associated with other non-identifiable cookie information and are disregarded. We take reasonable measures to ensure that personal information we hold is accurate, complete and up to date. However accuracy is largely dependent on what you provide us. We request you please contact us when your information changes as a result. When contacting us, we request that you please provide your name, email address, contact details and relevant comments/queries. Before AssetSpot is able to provide you with any information or correct any inaccuracies we may ask you to verify your identity and to provide other details to help us to respond to your request. We will endeavor to respond within an appropriate timeframe. Pre-launch registration offer opens at 10am AEST on 01/04/2017 and closes at 11.59pm AEDST on 30/05/2017 (“Entry Period”). c) Inputting all of the required details, including their first name, last name, valid email address and the name of their company and the employee size of the company they represent. d) Ticking all of the mandatory check boxes. Registrants consent to the offer Terms and Conditions as well as to receive future communication from AssetSpot before they submit their entry. Three (3) types of plans are available in this promotion: (a) Starter; (b) Pro; and (c) Enterprise. An invitation email will be sent to the Registrants who have entered their expression of interest to access the demo site. The invitation email will contain the instructions for the Registrant to claim their pre-launch offer. Redemption period starts when the Registrant receives his/her invitation and is valid for 60 days from the date of the invitation. Information on eligibility requirements how to subscribe to and claim the offer forms part of these Terms and Conditions. Registration for the Pre-launch offer is deemed acceptance of these Terms and Conditions. AssetSpot reserves the right, at any time, to verify the validity of Registrants (including a registrant’s identity, company, and the contact details supplied) and to disqualify any Registrant who submits an entry that is not in accordance with these Terms and Conditions or who tampers with the Registration process. Errors and omissions may be accepted at AssetSpot’s discretion. Failure by AssetSpot to enforce any of its rights at any stage does not constitute a waiver of those rights. AssetSpot reserves the right, at any time: (a) to invalidate any registrations which it reasonably suspects have been submitted using false, incorrect, fraudulent or misleading information, including but not limited to personal details and contact information that have been submitted through the use of multiple identities, email addresses or accounts. If there is a dispute as to the identity of a Registrant, AssetSpot reserves the right, in its sole discretion, to determine the identity of the Registrant. AssetSpot’s decision is final and no correspondence will be entered into. If for any reason a Registrant does not take up the offer by the time stipulated by AssetSpot, then the offer (or that element of the offer) will be forfeited. If the offer (or part of the offer) is unavailable, AssetSpot, in its discretion, reserves the right to substitute the offer (or that part of the offer) with an offer of an equal value and/or specification; provided, however, AssetSpot accepts no responsibility for any variation in the offer value. The offer is not transferable or exchangeable and cannot be taken as cash, unless indicated otherwise by AssetSpot. If this offer is interfered with in any way or is not capable of being conducted as reasonably anticipated due to any reason beyond the reasonable control of AssetSpot, including but not limited to technical difficulties, unauthorised intervention or fraud, act of God, war (whether or not declared), political coup or insurrection, rebellion, labour dispute, fire, epidemic, storm, flood, typhoon, explosion, legal enactment, government directive, order or regulation, AssetSpot reserves the right, in its sole discretion, to the fullest extent permitted by law to modify, suspend, terminate or cancel the offer, as appropriate. The use of any automated entry or any other mechanical or electronic means that allows a Registrant to automatically enter is prohibited and will render all entries submitted by that registrant invalid. Except for any liability that cannot by law be excluded, including the Non-Excludable Guarantees, AssetSpot (including its respective officers, employees and agents, its subsidiaries, affiliates and their respective parent companies) is not responsible for and excludes all liability (including negligence), for any personal injury; or any loss or damage (including loss of opportunity); whether direct, indirect, special or consequential, arising in any way, including out of: (a) any technical difficulties, infection by computer virus, bugs, tampering or equipment malfunction (whether or not under AssetSpot’s control); (b) any theft, unauthorized access or third party interference; (c) any failure of any email or communications to be received by AssetSpot or Registrants on account of technical problems, human error or traffic Congestion on the Internet or any website, or any combination thereof; (e) any variation in offer value or changes to the offer; (f) g) use, redemption or taking of the offer. AssetSpot collects personal information in order to conduct the pre-launch offer and may, for this purpose, disclose such information to third parties, including but not limited to agents, contractors and service providers. Registration is conditional on providing this information. If a Registrant ticks the relevant opt in box on the entry form relating to receiving future promotional/marketing material, AssetSpot may, for an indefinite period, unless otherwise advised, use the information for promotional and marketing, purposes and to send the Registrant updates about AssetSpot and its products. Registrants should direct any request to opt out, access, update or correct information to the AssetSpot. The entity “AssetSpot” is Targetbase Australia Pty Ltd (ABN 54607284122) of 2/166 Wellington Street, Collingwood 3067, trading as AssetSpot. Unless otherwise stated, AssetSpot and/or its licensors own the intellectual property rights in the website and material on the website. Subject to the license below, all these intellectual property rights are reserved. You must not conduct any systematic or automated data collection activities (including without limitation scraping, data mining, data extraction and data harvesting) on or in relation to this website without AssetSpot’s express written consent. You must not use this website for any purposes related to marketing without AssetSpot’s express written consent. Access to certain areas of this website is restricted. AssetSpot reserves the right to restrict access to areas of this website, or indeed this entire website, at AssetSpot’s discretion. If AssetSpot provides you with a user ID and password to enable you to access restricted areas of this website or other content or services, you must ensure that your user ID and password are kept confidential and not disclosed or distributed to any third parties. AssetSpot may disable your user ID and password in AssetSpot’s sole discretion without notice or explanation. Your user content must not be illegal or unlawful, must not infringe any third party's legal rights, and must not be capable of giving rise to legal action whether against you or AssetSpot or a third party (in each case under any applicable law). AssetSpot reserves the right to edit or remove any material submitted to this website, or stored on AssetSpot’s servers, or hosted or published upon this website. Notwithstanding AssetSpot’s rights under these terms and conditions in relation to user content, AssetSpot does not undertake to monitor the submission of such content to, or the publication of such content on, this website. This website is provided “as is” without any representations or warranties, express or implied. 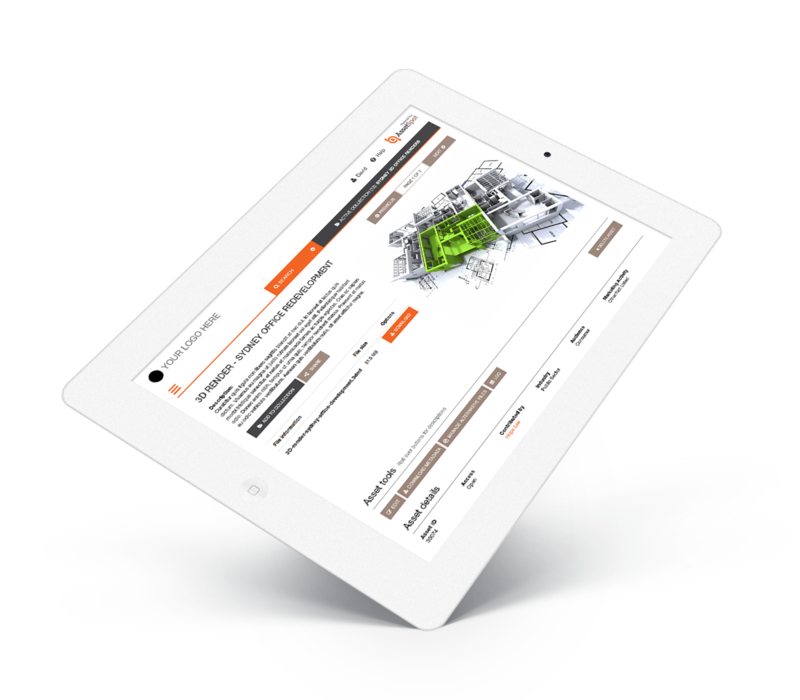 AssetSpot makes no representations or warranties in relation to this website or the information and materials provided on this website. These limitations of liability apply even if AssetSpot has been expressly advised of the potential loss. matter which it would be illegal or unlawful for AssetSpot to exclude or limit, or to attempt or purport to exclude or limit, its liability. You accept that, as a limited liability entity, AssetSpot has an interest in limiting the personal liability of its officers and employees. You agree that you will not bring any claim personally against AssetSpot’s officers or employees in respect of any losses you suffer in connection with the website. You agree that the limitations of warranties and liability set out in this website disclaimer will protect AssetSpot’s officers, employees, agents, subsidiaries, successors, assigns and sub-contractors as well as AssetSpot. You hereby indemnify AssetSpot and undertake to keep AssetSpot indemnified against any losses, damages, costs, liabilities and expenses (including without limitation legal expenses and any amounts paid by AssetSpot to a third party in settlement of a claim or dispute on the advice of AssetSpot’s legal advisers) incurred or suffered by AssetSpot arising out of any breach by you of any provision of these terms and conditions[, or arising out of any claim that you have breached any provision of these terms and conditions. Without prejudice to AssetSpot’s other rights under these terms and conditions, if you breach these terms and conditions in any way, AssetSpot may take such action as AssetSpot deems appropriate to deal with the breach, including suspending your access to the website, prohibiting you from accessing the website, blocking computers using your IP address from accessing the website, contacting your internet service provider to request that they block your access to the website and/or bringing court proceedings against you. AssetSpot may revise these terms and conditions from time-to-time. Revised terms and conditions will apply to the use of this website from the date of the publication of the revised terms and conditions on this website. Please check this page regularly to ensure you are familiar with the current version. AssetSpot may transfer, sub-contract or otherwise deal with AssetSpot’s rights and/or obligations under these terms and conditions without notifying you or obtaining your consent. These terms and conditions will be governed by and construed in accordance with Australia law, and any disputes relating to these terms and conditions will be subject to the jurisdiction of the courts of Victoria.